Ranbir Singh Sidhu’s first novel Deep Singh Blue (Unnamed Press/HarperCollins India) will appear in 2016. He is the author of the story collection Good Indian Girls (Soft Skull/HarperCollins India) and is a winner of a Pushcart Prize and a New York Foundation for the Arts Fellowship. His stories have appeared in Conjunctions, The Byword, The Georgia Review, Fence, Zyzzyva, The Missouri Review, Other Voices, The Happy Hypocrite, The Literary Review, Alaska Quarterly Review and other journals and anthologies. He divides his time between New York, India, and Crete. A death-match is a fresh and original take on the literary covenant, and the stories that follow are so twisty, button-pushing, and unexpected that I’m hesitant to do the kind of plot summary that would let people know what they’re getting into. Imagine tales that hunt down and exterminate the good, sacred and conventional in all its forms. Protagonists are often unlikeable. When they’re sympathetic, such as the young woman taking a self-improving night class (“Good Indian Girls”), or the plucky little girl misunderstood by her family (“Hero of the Nation”), or the young couple in love (“Sanskrit”), the next step is for them to do, say, or experience something demented. Sidhu has a knack for the unsentimental in both macro and microcosm, and smaller-stage details might give a sense of the gist without spoilers. For example, in the title story, a girl’s “drunken” first kiss takes place “in a high school bathroom with Jeremy Drake who had not washed his hair in a month.” In the story “Neanderthal Tongues,” a gully is “an ancient wound,” a body is found “covered by a black scab of vultures,” and the hero, an academic, turns his research to “the lowest deposits of language,” “the first human grunts and mumblings.” Romance, landscape, death, language… none are spared. The destruction and reversal of everything—culture, history, convention—is Sidhu’s extremely powerful starting point for an immigrant narrative. The author is Indian by way of the UK and America, and systematically undermines the concept of a coherent Indian emigre identity. These are Indians who have never lived in India, who don’t know how to put on a Sari (“Sanskrit”), and who wouldn’t go back if they could (“The Consul’s Wife”). Their India has burned. 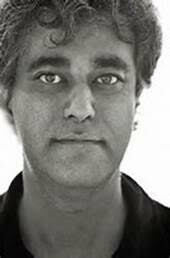 In “The Discovery” a man attempts to negate the word India, cutting it out of every newspaper he can find, because he believes it to be an imaginary country he made up as a child, a “dreambirth nation whose dry, California dirt borders were no more certain than a cowpat, a yellow-grass-surrounded India.” India is not longed for or forgotten, it’s a place that never was, a name the man cannot even speak; it’s this loss that seems to fuel the characters’ sadness and their fractured senses of the world and the self. The last story, “Children’s Games,” is appropriately set at an orphanage. The children, who “had lived here since they could remember” and who “knew nothing or little of their past,” created a hierarchy in which the whitest child was worshiped as a deity to the others. The children, whose hierarchy is described as “the highest point of our invented mountain of souls,” are adrift and monstrous, their artifacts are false, they have no culture, no family, no memory. According to the conventions of immigrant stories, the reader should pity them, but Sidhu makes them so savage, even that’s not allowed. In the end, the story launches into the surreal, denying all logic beyond its own. These stories are beautiful, complex, unpleasant, dark, tough-minded and often quite funny in their evocation of the absurdity of our global cultural salad. In the words of one orphan: “To me, England, France, the United States were all constituents of a single continent whose features I could not easily define, but within which Shakespeare lived alongside Hitler, The Beatles sang and Mozart composed, where George Washington daily crossed the Potomac and Coca-Cola was drunk in draft pints.” Out of the mouth of babes, we hear the truth. 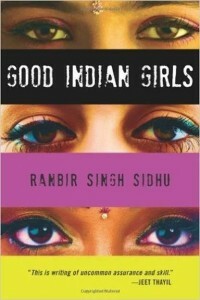 There are no Good Indian Girls here.